I am August, hear me roar. It is said that March comes in like a lion and goes out like a lamb. In Florida, August comes in like a lion wearing sunscreen and rain boots, and leaves like the exact same lion, except well stocked with hurricane and school supplies. 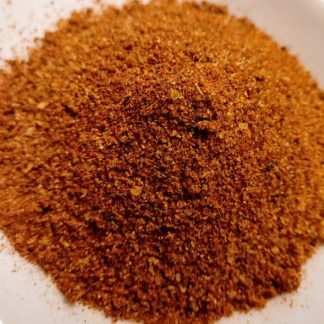 Speaking of supplies, if you are headed out to a beach condo or up to a mountain cabin, ask yourself this: when was the last time the spices in the kitchen were replaced? Can you name the president at the time? Our VSpicery flavor packs will bring the flavors at your favorite getaway up to date. Visiting with friends or family? Our flavor packs are a wonderful way of introducing them to the VSpicery experience. It might be too hot to cook, but you still have to eat. Grilled seafood will make the cooking quick and easy. 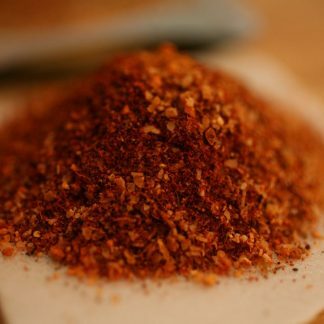 For grilled shrimp, we suggest one of our bodacious blends: Shallots N’ Pepper, Barista’s BBQ, Greek Seasoning, or Sriracha Sizzle. Simply skewer the shrimp, drizzle on a bit of olive oil, sprinkle with seasoning, and allow to marinate for 15 to 20 minutes in the refrigerator or cooler. Then pair with your favorite grilling veggies and fire it up. Not a shellfish eater? The same sublime simplicity applies to your favorite fresh fish filet. And when it comes to fish, be sure to check out our newest blend, Fin & Feather Schmacker. So you think you know salads? Sign up for our next event and let us expand your herbivore horizons. On Saturday, August 18th at 3pm, we will be hosting a class on all things salad – everything from exploring various types of leafy greens, vinegars and oils to our favorite pasta and potato creations. And of course, we will dress for the occasion – learn how to ditch the store bought dressings and create your own. Class is limited to 12. $25 per person includes tastings. Reservations are a must – call 813-870-1133 to reserve your seat by August 14th. On September 8th we will be hosting a knife sharpening event with our guy Mark. We will also be doing something in the kitchen and will let you know in the next newsletter. So, get your blades ready and mark your calendars. In celebration of salads, we are offering $2.00 off our Bellindora Balsamics – we have a pomegranate, a fig and an apple. If you would like all three, an additional discount applies. Also, be sure to take advantage of 10% off our extra virgin olive oils while supplies last. In store only special, sale runs from Aug. 18th – Aug. 24th. VSpicery loves sharing recipes. We find that the side dish below is a perfect combination when you use VSpicery’s Greek Seasoning on grilled chicken. It’s a brilliant combination of flavors that will leave you with a satisfied palate and happy tummy. Press garlic clove into small bowl. Add lemon juice and mustard; whisk in oil. Season dressing with salt & pepper. Bring broth to boil in heavy medium saucepan. Mix in couscous. Cover, reduce heat to medium-low and simmer until couscous is tender and all broth is absorbed (about 10 minutes). Transfer to large bowl; sprinkle with salt and pepper. Cool to room temperature, tossing occasionally (about 45 minutes). 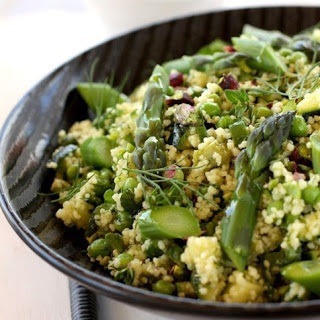 Mix asparagus, cucumber, olives, green onions and ¼ cup mint leaves into couscous. Add dressing, toss. Gently mix in cheese. Can be made two hours ahead, let stand at room temperature. Hope to see you at our next events on August 18th to learn all about salads. Until then have a creative time with your food. Previous post: Hello summer, our old friend! Hi Val – this is susan mills. I”m in St. Pete now and will call to be part of your salad class….but please save me a spot until we connect! Thanks.